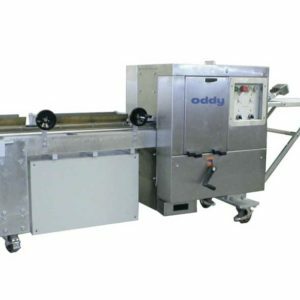 Oddy bread roll plants utilise the latest technology to produce a wide range of morning goods. 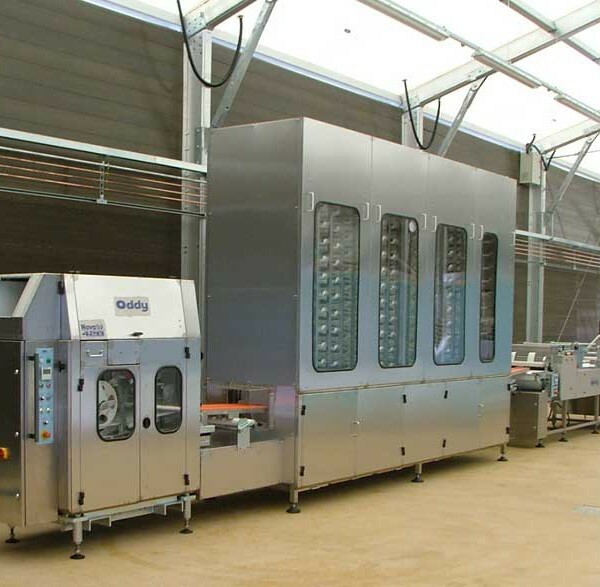 The roll plants are custom built to individual bakery requirements and offer ultimate flexibility and weight range. 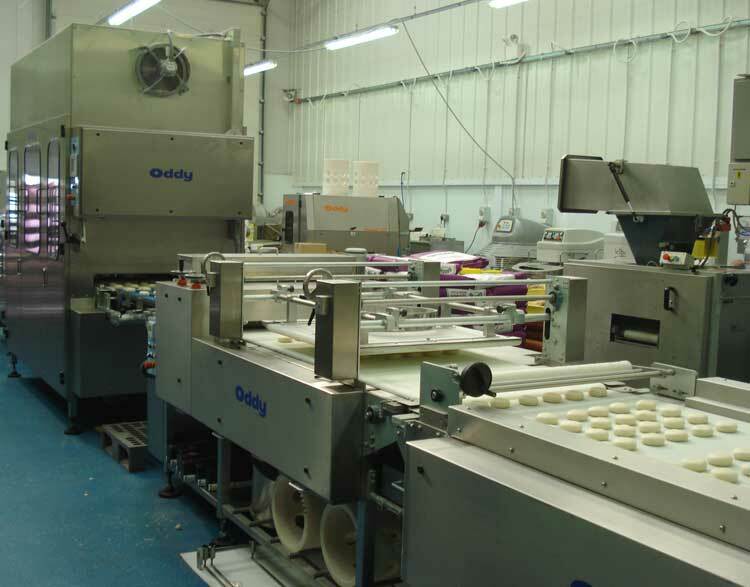 Lane blanking and interchangeable plunger blocks give a weight range of 10g – 470g. 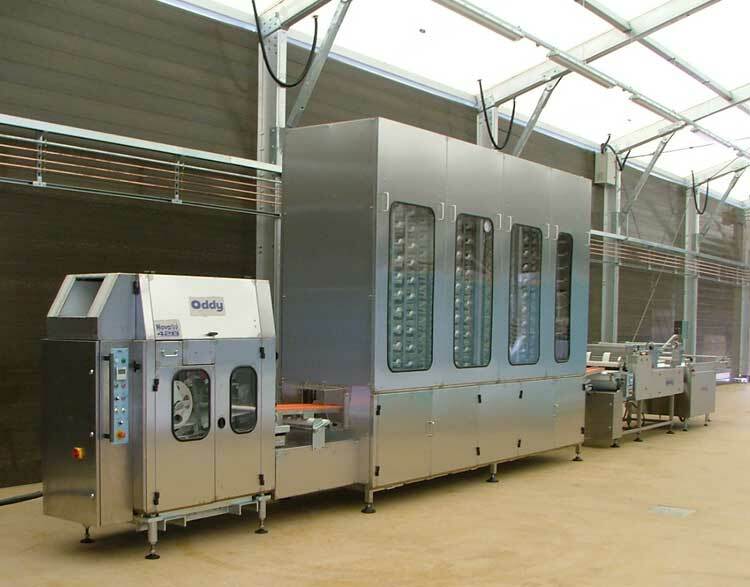 One person operation, with bulk dough feed by the mixer operator. 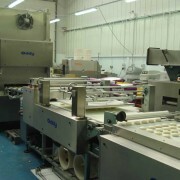 Tags: bread plant, bread roll plant. 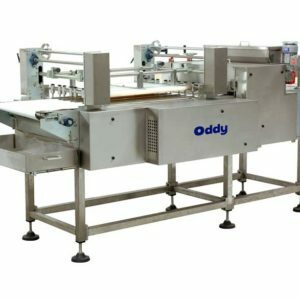 Electronic programmable control is an option, with programmes stored and recalled at the touch of a button controlling speed, weight, moulding and batching configurations on the automatic bread panner. 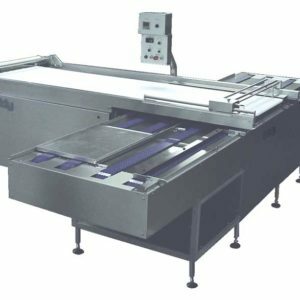 Intermediate proofing, single or multihead seeding, and indexing cross conveyors can be incorporated.